Taking pictures is a fun but sometimes can be very frustrating. Take night photography, for example. You catch a great shot but alas, the light isn’t the greatest, since it’s hey, night, no light at all, so you take what you can and don’t spoil the picture with the flash. But what do you get in the end? A great shot by exposition, yes, but terribly noisy. What can you do? You can’t turn back time and get the same shot again, it won’t be the same. You can turn to photo editors, which work with image denoising algorithms and can save pictures that look like they’re beyond saving. Here’s one such editor, called SoftOrbits Easy Photo Denoise. Today we’re going to demonstrate how to denoise photos using this program. 1. First things first, Add Files to denoise. 2. Select the preset for denoising. 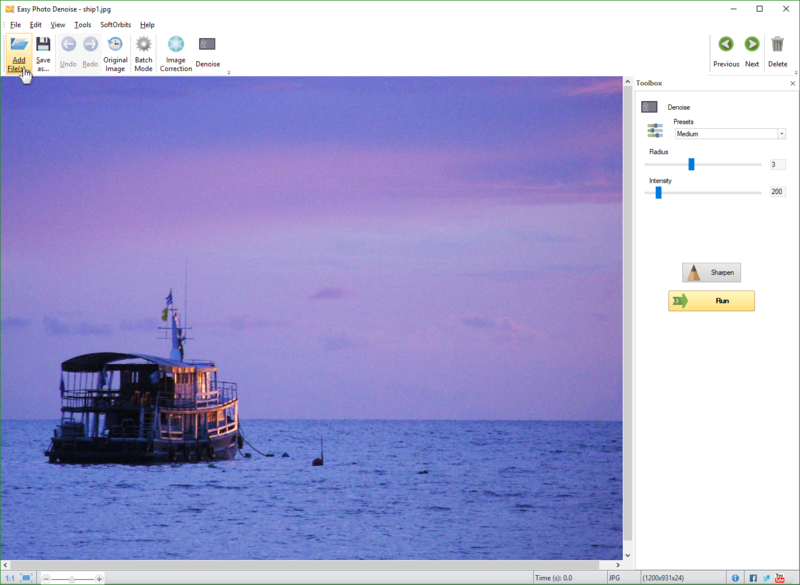 Presets are special algorithms that make possible denoising pictures automatically. Select Medium for medium denoising. If your picture has heavy noise, try using the Strong preset, however, the picture might turn out too blurry. We recommend sharpening and correcting image afterwards. 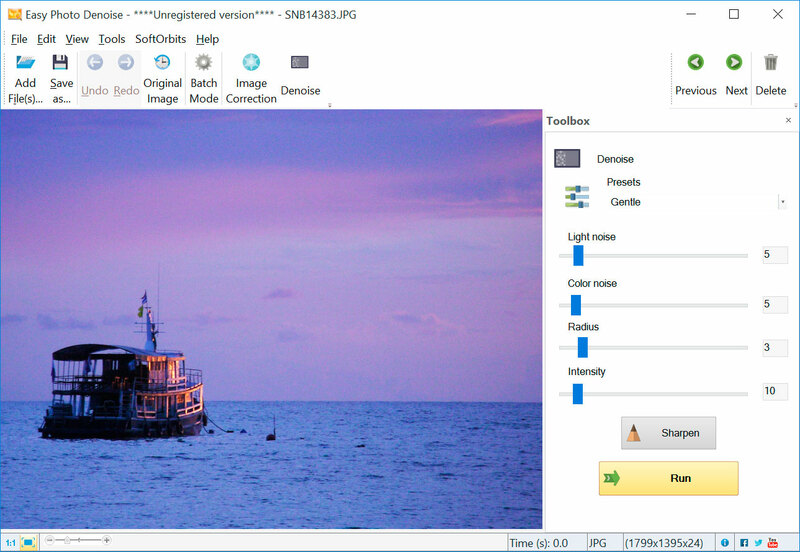 The program is simple and allows denoising photos without any knowledge whatsoever. Add, click and voila! Hope this tutorial helps!